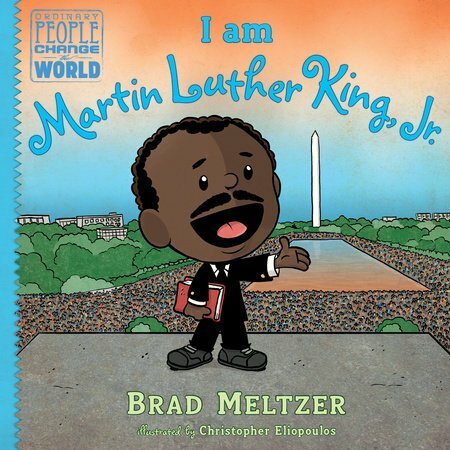 This fabulous nonfiction series called Ordinary People Change the World asks the question, “What makes a hero?” Then, while his latest, I am Martin Luther King, Jr. takes its place alongside seven previously published titles, author Meltzer answers that question. By honing in on certain positive traits of the young King, the biographer immediately pulls readers in while introducing this great man born 87 years ago. As a child, MLK got “into a lot of accidents,” but never let unfortunate circumstances keep him down. Recounted in first person, King tells us, “No matter how many times I fell, I kept getting back up.” Enamored with the power of language, King surrounded himself with books, ultimately becoming the powerhouse speaker who, at age 35, won a Noble Peace Prize and is still frequently quoted today. 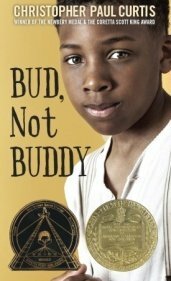 His negative experiences with segregation and racism began at an early age. But, rather than hate, King’s parents taught the angry young boy “that it’s better to have more love in your life than hate.” He also learned that the color of his skin did not make him any less of a person. “You are as good as anyone,” his mother told him. Throughout his formative years, King felt the injustice in society and was determined to make changes. Influenced by the writings of Thoreau and Gandhi, MLK strove to eliminate segregation peacefully, without violence. The arrest of Rosa Parker for refusing to give up her seat on a bus prompted a yearlong boycott of the buses in Montgomery, Alabama by black people. It worked! This was a pivotal time for the growing civil rights movement. King gave a moving speech about justice and moral courage, but was also arrested for orchestrating the boycott. King’s strategy led to countless other protests, and sit-ins as he helped give voice to a people whose growing calls for equality needed to be heard. The Children’s Crusade in Birmingham, Alabama and then the massive March on Washington were turning points in history culminating with MLK’s powerful I Have a Dream speech. Soon after “the president and Congress passed new laws for civil rights,” but the work for equality was still not over. Black people had no rights to vote and that, too, had to be overcome. Eventually, it was. 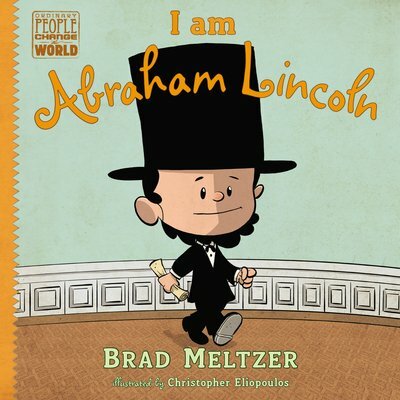 Conveyed via text and speech bubbles, and illustrated in Eliopoulos’s fun-to-look-at comic-style (who can resist the mustachioed, mini-sized, black suited MLK narrator), I am Martin Luther King, Jr., is an ideal way to introduce youngsters to one of America’s great leaders. Not only does Meltzer share some of the most important aspects of MLK’s life with children, but he makes it meaningful, memorable and moving for such a short book. The back matter includes a timeline, some photos, as well as sources and further reading for kids. 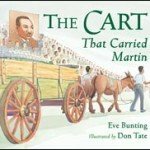 I thoroughly enjoyed this kid-friendly picture book that combines Martin Luther King, Jr.’s inspirational story along with “Dr. King’s actual dialogue whenever possible.” It clearly demonstrates to children how one individual, armed with only a dream and determination, can make a huge difference and a lasting impression in the world. 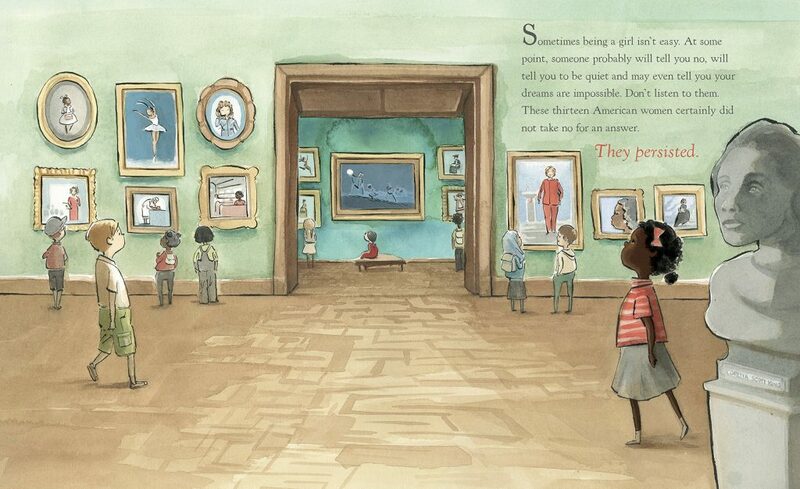 Under The Freedom Tree – a 2014 Junior Library Guild Selection! Illustrator London Ladd, Under The Freedom Tree, Copyright © 2014 Charlesbridge Publishing. 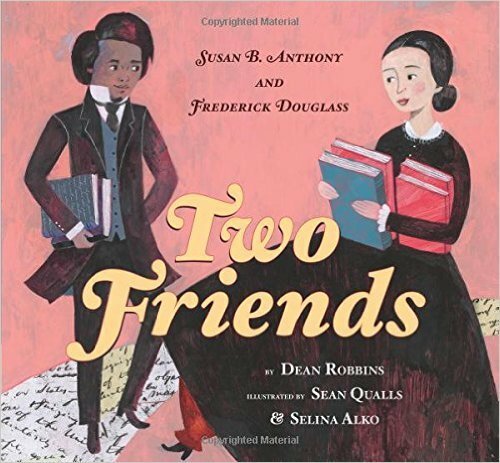 Today Good Reads With Ronna and London Ladd discuss how, as the illustrator of Under The Freedom Tree (Charlesbridge, $16.95, Ages 6-9) by Susan VanHecke, he came up with the illustrations for this picture book which we’re highlighting for African American History Month (also known as Black History Month). 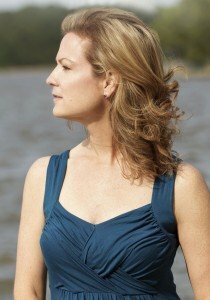 If you didn’t see yesterday’s post where we interviewed author Susan VanHecke, please click here to read it. 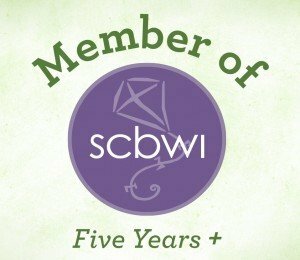 We’re joining other reviewers this week as part of a special Charlesbridge Publishing blog tour and hope you’ll take the time to visit all the bloggers’ sites. We’re also delighted to be giving away one copy of Under The Freedom Tree, so enter by clicking here for a chance to win. This giveaway ends at midnight PST on February 24, 2014. Please be sure to write Freedom Tree in the subject line and include your address. Like us on Facebook for an extra entry. A winner will be chosen by Random.org and notified via email on February 25th. Good luck! 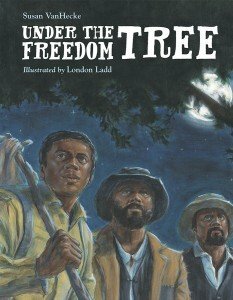 Under The Freedom Tree shares the story of three captured slaves, Frank, James and Shepard, during the Civil War, who take an enormous risk to escape across dangerous waters in Virginia to reach the Union Army on the other side only to discover they are still not totally free. However, with the help of clever General Butler, a lawyer before the Civil War, the three fugitives are able to remain with the Union side on a technicality. The winds of change were beginning to blow in the right direction. Cover image, Under The Freedom Tree by Susan VanHecke with illustrations by London Ladd, Copyright © 2014, Charlesbridge Publishing. VanHecke delivers a powerful tale told poetically in free verse and based on actual accounts of the creation of America’s first “contraband camps.” After word of Frank, James and Shepard’s successful escape, others followed suit. First hundreds then thousands. 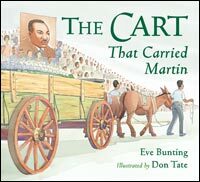 Be sure to sit down with your kids and read this fantastic picture book that helps shed light on a little-known yet inspiring event of the Civil War. 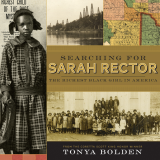 Also included are a bibliography and author’s note at the end providing more historical information that helps place many of the events in Under The Freedom Tree in context. 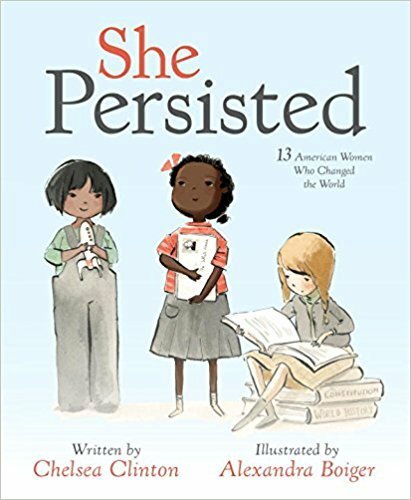 Good Reads With Ronna: When a publisher approaches you with a book to illustrate, do you see the completed manuscript or is it still rough round the edges? I’m curious because I wonder if your illustrations have ever influenced the direction a book can take? 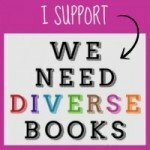 London Ladd: It depends on the publisher. Most of the time I’ll get a completed script, but there have been a few times I will get something that’s in the last stages of editing. It’s minor wording that doesn’t affect my ideas. 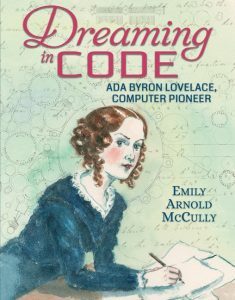 Good Reads With Ronna: What is your illustration process, i.e. do you research the subject matter, then sketch and finally paint the art to be used? London Ladd: I’ll usually read and reread the manuscript, then I do a few small quick thumbnail sketches. After that I start diving into the research and this is the most fun because I get to learn new things, but sometimes I get so involved I get lost and have to pull myself back into focus. After gathering myself I do more sketches to storyboard all the pages. Then I take A LOT of reference photos. I draw the final sketches and send to the publisher for feedback and after things are approved I paint the final artwork. GRWR: In terms of medium for Under the Freedom Tree, did you use acrylics and combine them with pastels and colored pencils like your bio describes or did you try something different with this book? Ladd: I primarily use acrylic paint, but recently for Under the Freedom Tree, I’ve combined colored pencils and pastels. I feel it adds more depth to the art and creates a signature look. When I’m working I get messy so my clothes will get covered in paint. It’s a bad habit I’ve tried to stop but I get so locked in I can’t help it. In the past I’ve tried oils on top of the acrylics but when it got on my skin I had bad reactions and discontinued use. 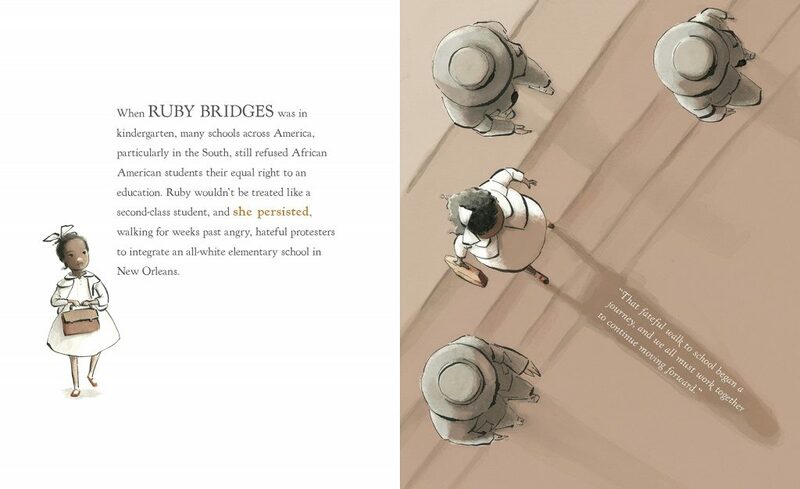 Interior spread from Under The Freedom Tree by Susan VanHecke with illustrations by London Ladd, Copyright © 2014, Charlesbridge Publishing. GRWR: What is your favorite illustration in Under the Freedom Tree? Ladd: That’s a difficult answer because I really love each illustration in this book for various reasons. If I had to pick one right now it would be the first page with them running because when I first read the manuscript that page came alive so clearly in my mind’s eye and heart. I could vividly hear the sound of the crickets chirping, the pounding feet of the three men in the tall grass, the hurried sound of their breathing in the night as they sneak off. If you watch the book trailer that’s exactly how I saw it in my head. GRWR: Which was the most difficult to complete and why? Ladd: I think the page where the people are rebuilding after the Confederate soldiers torched Hampton. I didn’t know how to approach it. What do I show? How do I convey in my illustration the words effectively? When I traveled to Hampton to do more extensive research and see landmarks like Emancipation Oak, Fort Monroe and Sewel’s Point (the spot where the men escaped from) I stopped in the Hampton History Museum and they had this amazing exhibit from that era. There was a replica of a burnt brick wall with an actual photo of Hampton after the fire in 1862. When I saw that I knew exactly how that page should look. It’s funny because without visiting I would have never created that page. GRWR: Is it difficult as an illustrator to try to capture a unique moment in time and have your illustration convey a mood or incident? Ladd: Wow that’s a good question. I guess it depends on the project. For March On I wasn’t born during the march on Washington so wanted to capture the moment. What would it be like if I was there and to be a part something so special? For Oprah I felt a connection to her story. I’m also an only child who had a fierce determination to better myself and succeed. With Under the Freedom Tree it was a spiritual experience for me as an African American. 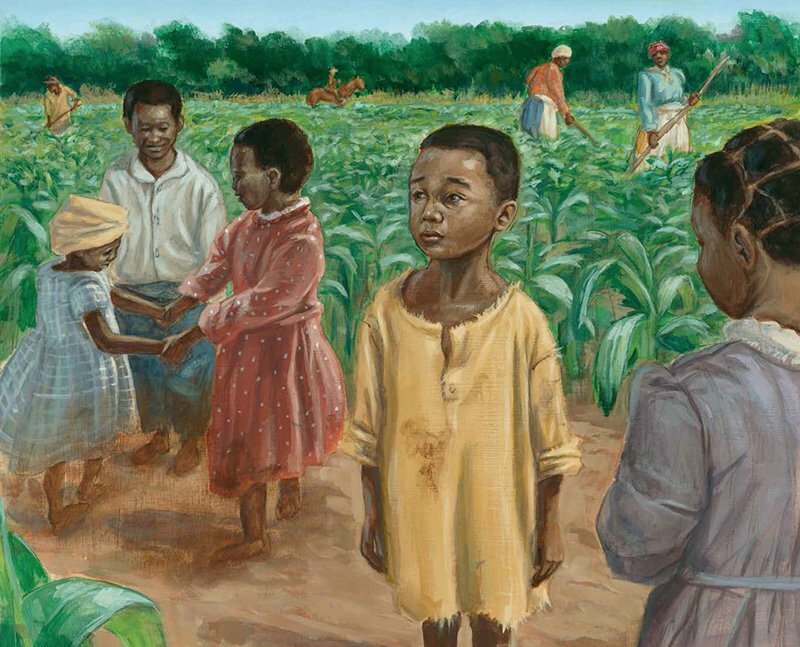 The issue of slavery can be a sensitive subject, that’s why it was so important for me to visit the sites and gain a deeper understanding of what I’m illustrating. To see the Emancipation Oak, a 400 year old tree that still stands to this day in person at Hampton University, and to stand on the very shore in Norfolk, VA and look across the Chesapeake Bay, filled me with so many ranges of emotions. 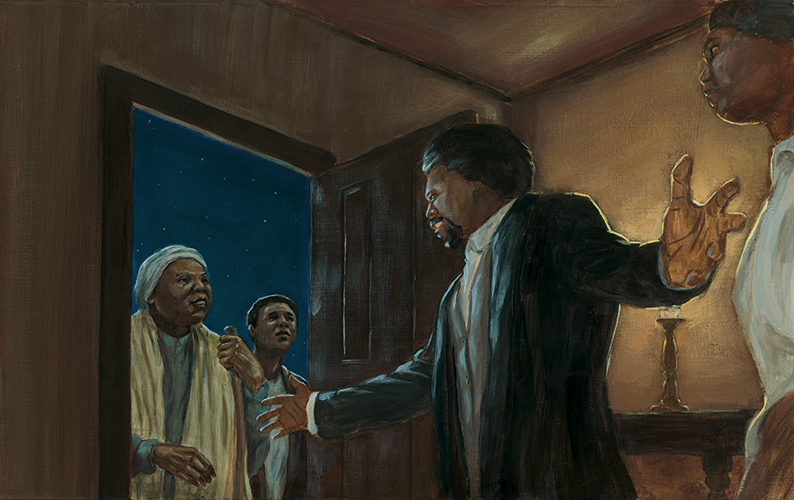 The contraband slaves are not widely known in history so I wanted to illustrate their amazing story of bravery, courage and strength with honor. 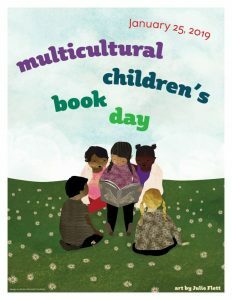 Today Good Reads With Ronna and Susan VanHecke discuss how the seeds of a story were planted for her new picture book, Under The Freedom Tree (Charlesbridge, $16.95, Ages 6-9) with illustrations by London Ladd, which we’re highlighting for Black History Month. We’re joining other reviewers this week as part of a special Charlesbridge Publishing blog tour and hope you’ll take the time to visit all the bloggers’ sites. We’re also delighted to be giving away one copy of Under The Freedom Tree, so enter by clicking here for a chance to win. This giveaway ends at midnight PST on February 24, 2014. Please be sure to write Freedom Tree in the subject line and include your address. Like us on Facebook for an extra entry. A winner will be chosen by Random.org and notified via email on February 25th. Under The Freedom Tree by Susan VanHecke with illustrations by London Ladd, Charlesbridge Publishing, 2014. 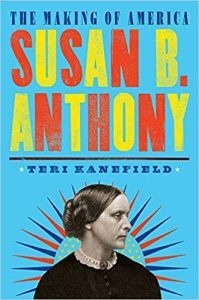 Good Reads With Ronna: Susan, I had no idea the story would be anything other than straightforward prose, but it was so much more. 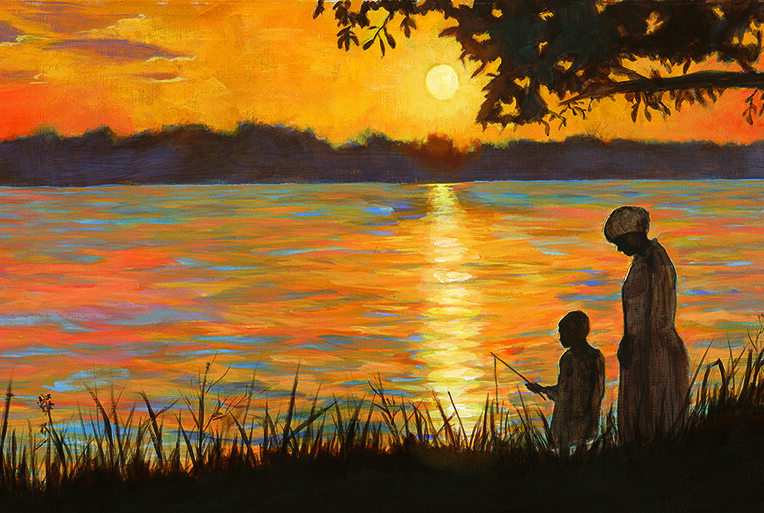 It was poetic and flowed like the water that carried the three slaves to their eventual freedom. How did you decide upon this form of storytelling? Susan VanHecke: Thanks so much, Ronna, and your imagery is beautiful! You know, I struggled for quite a while (a couple of years, actually) trying to write the contraband slaves’ story in prose. But it was just too dry, too flat, too distant. I didn’t think it would hold young readers’ attention or get them feeling exactly what was at stake. Then one day I picked up a collection of the late, great author Virginia Hamilton’s essays and speeches. In it, she described a concept she called “rememory,” an “exquisitely textured recollection, real or imagined.” I liked that idea, especially the texture and imagination parts. I decided to make a personal visit to the Freedom Tree. There in the summer quiet, under those sprawling, sheltering branches, I could feel all those heart-pounding emotions, I could imagine all those daring events, that took place under or near Emancipation Oak. It was a powerful moment for me, and it definitely shook loose the words. My “rememory” came in the form of free verse. I owe a debt of gratitude to Ms. Hamilton. 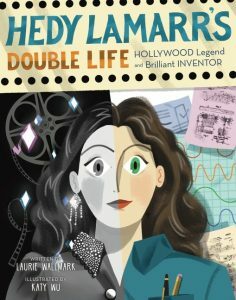 GRWR: Did you happen upon the history of Frank, James and Shepard accidentally or was their story one you had heard about and always wanted to share with youngsters? VanHecke: It was totally by accident. Do you ever get those local lifestyle magazines in the mail that are really just slick vehicles for home improvement ads? I was flipping through one of those when it opened to a photo in the back. It was a stunning, sepia-toned image of a spectacular tree. The caption underneath said that this was where area contraband slaves learned to read and write and heard the Emancipation Proclamation, what some consider the first Southern reading of that important document. I was astonished that I’d never heard of this history, especially since Emancipation Oak is just a few miles from my home. As I researched the full story, I knew I wanted my kids and their classmates to know this exciting, little-known aspect of the Civil War. GRWR: Under the Freedom Tree is a reminder that even in many places in the North, freedom for slaves was not readily embraced. 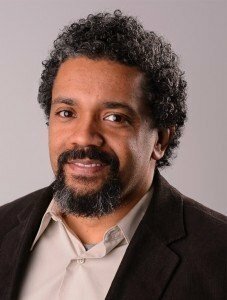 How did some African American former slaves get to be free while others remained “contraband” until the 13th Amendment? VanHecke: I’m certainly no expert, but it’s my understanding that former slaves could become free through manumission (emancipated by their owner, usually by “purchasing” themselves) or escaping to the free states of the North. 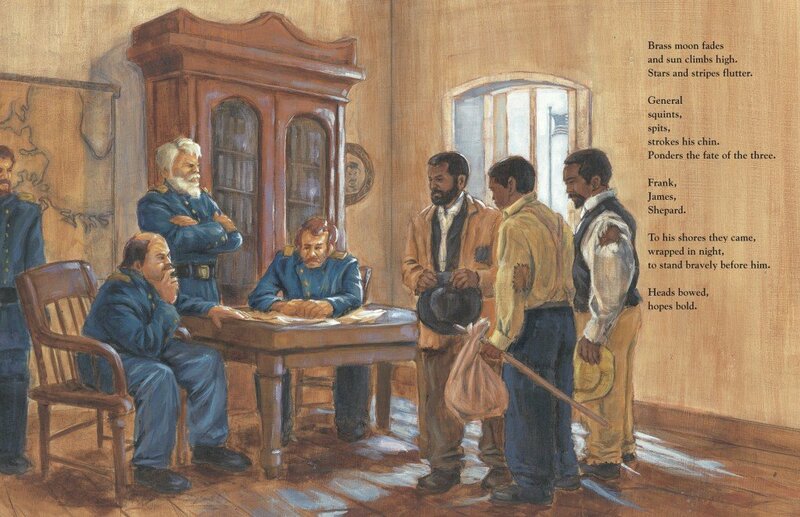 Of course, slave hunters were always on the prowl—in the North and South—and the Fugitive Slave Act of 1850 created harsh punishments for those who assisted runaways in any way. That’s what made Union General Benjamin Butler’s “contraband” decision so important. 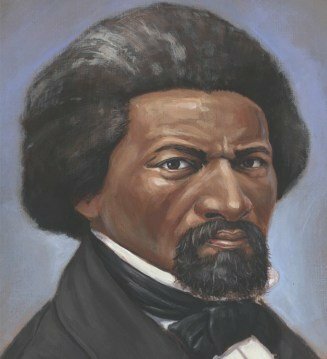 Virginia was a slave state, so by law (the Fugitive Slave Act), Butler had to return to their Confederate owners those three brave souls who rowed under cover of night to Fortress Monroe. But Butler, a lawyer himself, found a loophole: Virginia had just seceded from the United States, so U.S. law no longer applied to it. 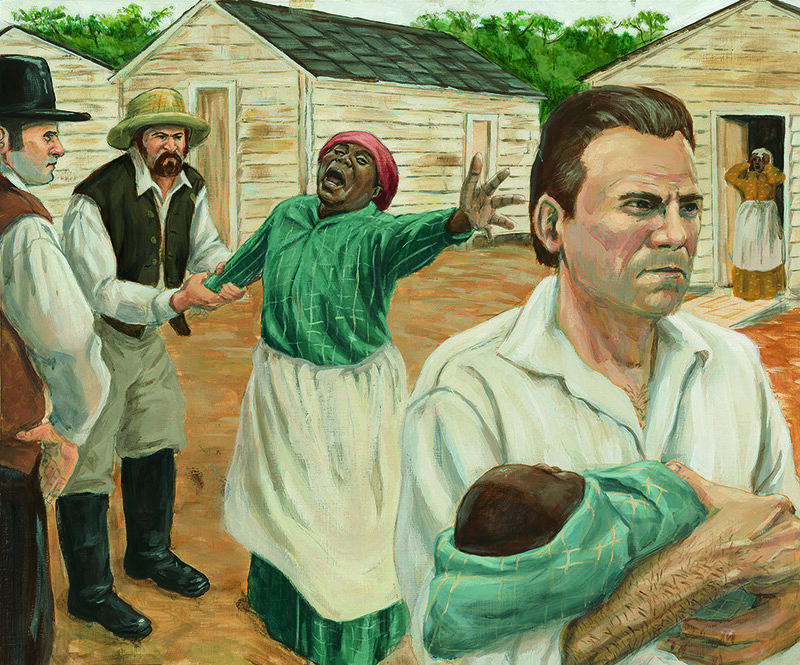 Virginia was now an enemy of the United States. Therefore, clever Butler was able to declare those escaped slaves “enemy contraband,” since they were being used in the Confederates’ effort to wage war on the Union. 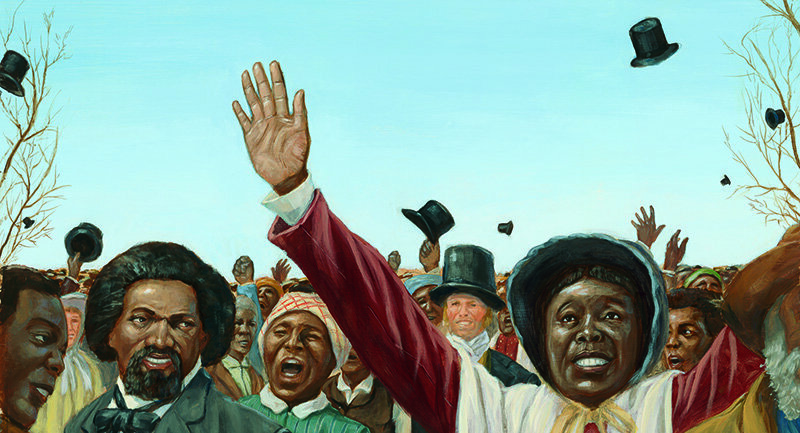 As word spread, more and more slaves escaped and made their way to the Union line, where they too became “contraband.” They weren’t free, and in fact labored for the Union for many months before they were eventually paid for their work. But contraband surely seemed—and ultimately was—one step closer to free. 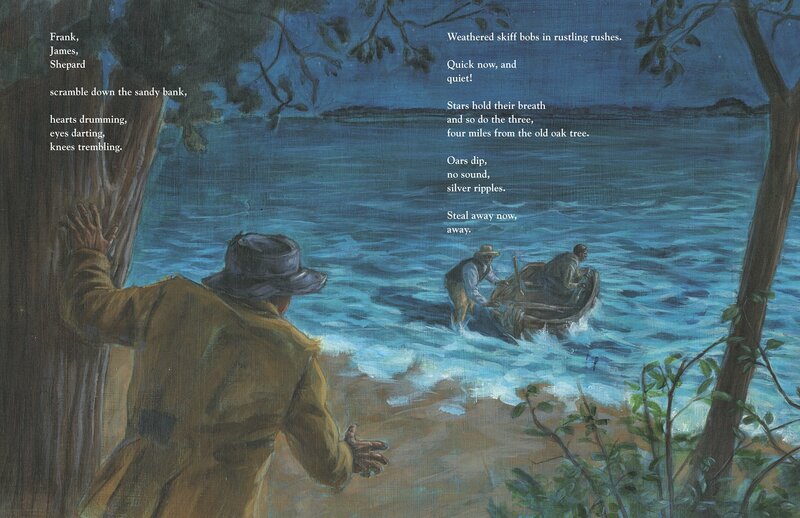 Interior spread from Under The Freedom Tree by Susan VanHecke with illustrations by London Ladd, Copyright © 2014 Charlesbridge Publishing.